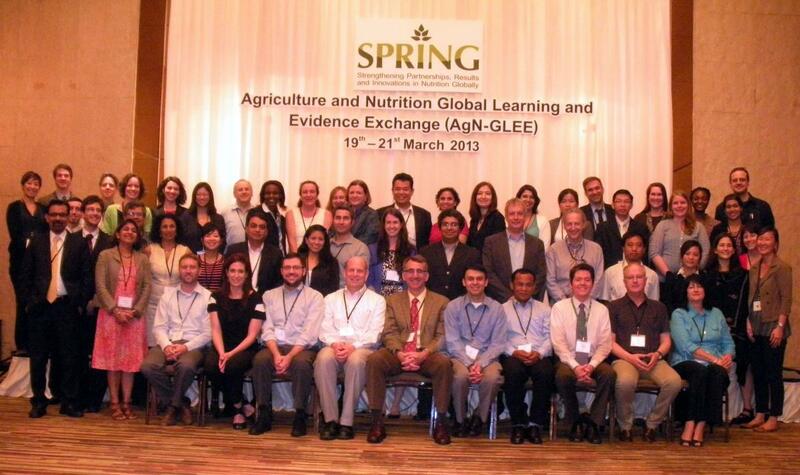 In March 2013, the SPRING project hosted an Agriculture and Nutrition Global Learning and Evidence Exchange (AgN-GLEE) event entitled Strengthened and Sustainable Linkages among Agriculture, Economic Growth, and Nutrition in Bangkok, Thailand. This three-day learning workshop focused on strengthening and aligning current and new Feed the Future (FTF) investments to achieve nutrition outcomes in the Asia Region. By engaging cross-sectoral teams of both USAID mission and partner stakeholders, the AgN-GLEE event offered opportunities for knowledge exchange, sharing of better practices, and practical application of evidence in building country-specific plans for improving nutritional outcomes by leveraging agriculture investments under FTF. Presentations from this event can be accessed through the tabs below.